Benefits: Muscle support and improved blood flow, recovery, odor resistance. Features: Compression. 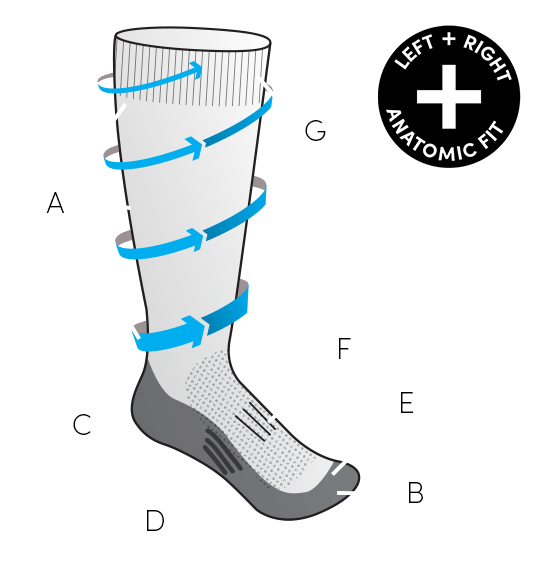 See compression specific sock size guide. In the sport of daily life, wearing a pair of the women's Lifestyle+ Over the Calf Compression socks will improve your performance. These socks fit tigher than your casual day to day sock in order to give you enhanced blood flow for running or other high endurance activities. Breathable support helps to make this durable sock the one you'll reach for before jumping into your daily grind.